Migration has transformed Taiwanese society in the last 20 years. The main inflows have been temporary workers from Southeast Asian countries and female spouses from Southeast Asia and China marrying Taiwanese husbands. The main outflow has been migration to China, as a result of increased economic integration across the Taiwan Strait. These changes have significantly altered Taiwan’s ethnic structure and have profound social and political implications for this new democracy. As large numbers of these migrants take Taiwanese citizenship and their offspring gain voting rights, the impact of these "new Taiwanese" will continue to increase. This book showcases some of the leading researchers working on migration to and from Taiwan. 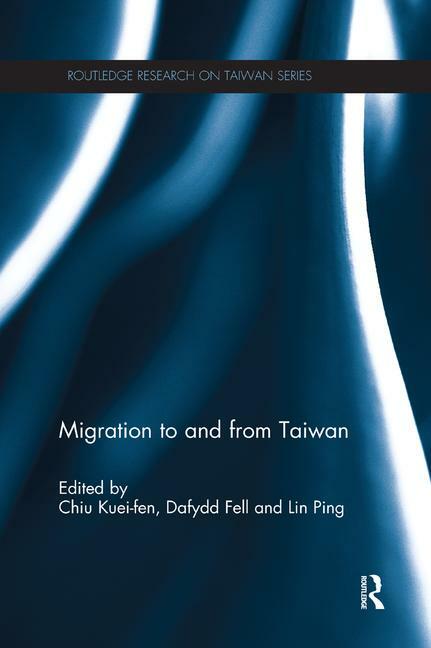 The chapters approach migration from a range of disciplinary perspectives, including international relations, sociology, social work, film studies, political science, gender studies, geography and political economy and so the book has great appeal to scholars and students interested in the politics of Taiwan, Taiwanese society and ethnic identity as well as those focusing on migration in East Asia and comparative migration studies.